Canadian soccer coaches say hosting World Cup games in 2026 will help build a far more intensive system for attracting, developing and retaining top players. On a windy weekday afternoon, Prince Amanda, 17, kicks around a soccer ball with his friends and teammates at Edmonton's Clarke Stadium. Amanda's been chasing soccer dreams since he was four years old, looking up to his older brother, Gloire, who plays for Vancouver's professional team, the Whitecaps. Now the younger Amanda has set his sights on a bigger goal: playing for Canada's national soccer team at the World Cup in 2026. "It would mean all the hard work that I put in through the years, the sweat, the tears, everything ... it would mean a lot." He is part of the FC Edmonton Academy, in the just-announced Canadian Premier League, which has started grooming teams of players across the country in the hopes of qualifying for the national men's team. But other homegrown pro hopefuls are finding their loyalties tested by the news of Canada's co-hosting duties. Mexico-born Luis Martinez, 15, says his dad taught him how to play soccer when he was three. "Even before I could walk he threw the ball up in the air, he made me hit the ball." Martinez, who now plays in a high school-level training program in Edmonton, also has World Cup fever, but he's not sure whether he'd prefer to play for Canada or Mexico. "It will be a tough decision," he says. Elite Canadian players have looked for greener turf elsewhere in the past. Calgary's Owen Hargreaves wore England's colours during the World Cup in 2002 and 2006. Canada has not qualified for the men's World Cup since 1986, when it had a dismal showing, scoring exactly zero goals in three games. "The world is getting better, so we have to get better too," acknowledges Sean Fleming, who coaches the under-16 group at FC Edmonton. He says a lot has changed in the Canadian soccer scene in the past three decades. "The game has grown tremendously here," he says. "The coach education systems are all being looked at.... Things are getting better." In the past 11 years Canada has developed three professional teams that compete in the U.S.-centric Major League Soccer: the Whitecaps, the Montreal Impact and Toronto FC — last year's league champions. And the Canadian Professional Soccer League, with its six teams, bolsters an already existing pro presence. And more professional players are on the way. A 2014 analysis by the Toronto-based Solutions Research Group Consultants showed 767,000 youth enrolled in soccer across the country, ahead of hockey by 236,000. What fans, pros and players all agree on is that Canada has to find a way to keep our homegrown talent in this country, and develop role models. "[Canadian soccer players] can definitely be role models in our country, but because they're located out in Europe, they sometimes tend to be forgotten," says Franco Saporito, who coaches Luis Martinez. He points to Hargreaves playing for England as well as Bosnia-born Asmir Begovic, who grew up in Edmonton but plays for his home country internationally. "But with the World Cup coming, we'll definitely develop some of those role models that players like Luis ... can aspire to," he says. Where the country is already doing well, though, is in women's soccer. Canada's national women's soccer team has participated in six World Cups between 1995 and 2015, and pulled off two bronze medal wins at the Olympics, in 2012 and 2016. And the man who has coached them through much of their recent success was recently appointed the head of the men's national soccer team. John Herdman appeared exuberant after learning Canada's co-hosting bid was successful. "We've leaked so many players to other countries," Herdman says. "So it's not that we don't have the talent in this country, it's an ability to retain them." He believes part of the answer is in the very act of securing the bid, inspiring a generation. "The opportunity to represent this country in your home city, in your own country, with everyone behind you — those things are what dreams are made of. It's once-in-a-lifetime stuff." Herdman is hoping to have a national men's team compete before the tournament comes homes, if Canada can qualify for the 2022 World Cup in Qatar. In the meantime, Prince Amanda will keep perfecting his footwork, and encouraging his brother Gloire by showing up at the latter's games. "It's also an opportunity to see what he has to offer and what I have to offer above him," he says, insisting he wants to surpass his mentor. 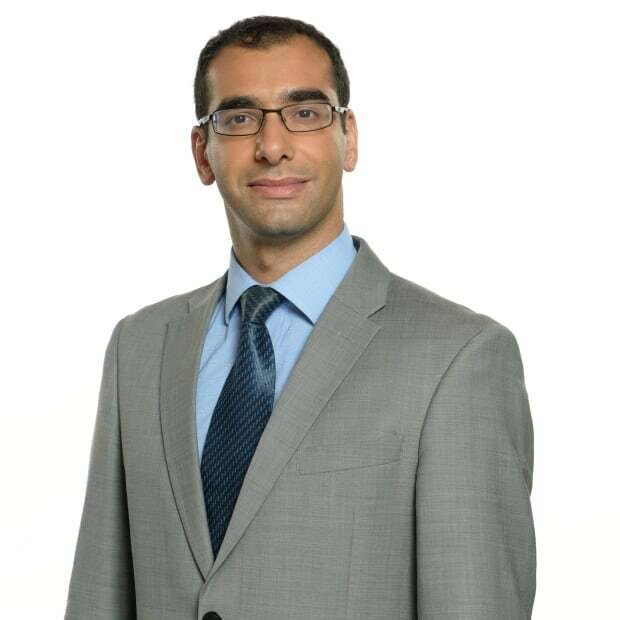 Raffy Boudjikanian is a national reporter with CBC in Edmonton. He has also worked in Calgary and Montreal for the public broadcaster.